Adjustable bases can help alleviate health problems, stress, and help you relax! 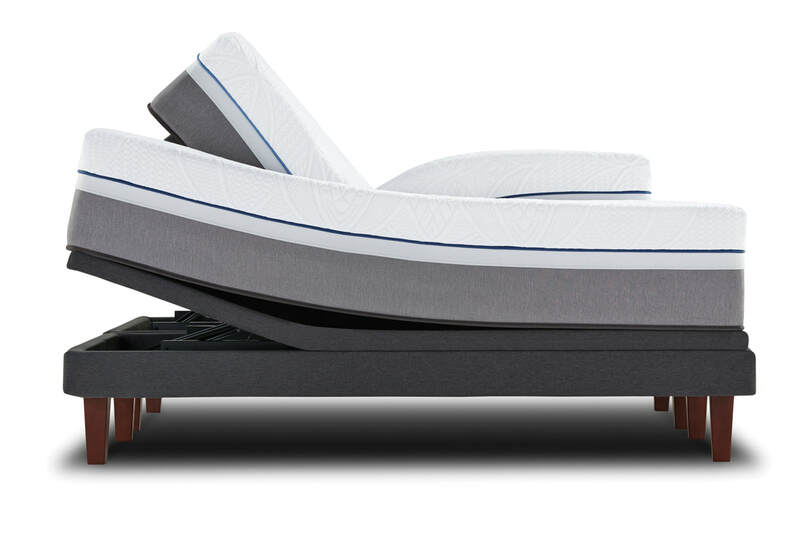 Adding an adjustable base with your mattress purchase can change your quality of life. Ergonomic adjustable bases from Sealy® can help alleviate health problems like sleep apnea, Gastroesophageal reflux disease (GERD), heartburn, acid reflux, and snoring. Adjustable bases can also help provide relief from low back pain, poor blood circulation, and help your muscles to relax. In addition to the health benefits, adjustable bases can provide for a higher quality of lifestyle. You can raise up and enjoy watching television, reading, using your laptop, or simply just relax! Turn your bed into a relaxing retreat with a virtually unlimited range of ergonomic positions for your head and feet. Comes with wireless remote.